AND FINALLY: Don’t buy duty free! Holidays can be the last chance to spend time alone for a couple before baby arrives. But pregnant when travelling can be stressful and clearly a new experience. 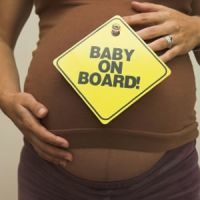 A survey by Netmums and The London Ultrasound Centre shows that mums-to-be are confused by the lack of consistent guidance on when it is safe to travel during pregnancy, with 20% unsure whether it is safe to fly at all when expecting. Some airlines allow mums-to-be to fly up to 37 weeks of pregnancy, while for others the cut-off date is 34 weeks or even earlier. The Royal College of Obstetricians and Gynaecologists recommends 37 weeks. It is not surprising that the majority (85%) of women surveyed want standard guidance to make it easier to plan their pre-baby holidays. “Roger and out”, may sound twee in some ancient Hollywood film thriller but to a Japanese, or maybe Russian, trying to find his way around the airwaves as he struggles to learn how to fly and use the English language, it is utterly confusing. The Oxford Air Academy (OAA) is running two one-day seminars on the subject of aviation English training and testing. The class will include talks given by representatives of airlines and air traffic control, and the authors of the world’s best selling aviation English training materials, on key issues in language training and testing for the aviation industry of today. From programme design and management, materials, and the regulatory environment, these information-exchange seminars will cover language training and testing for pilots, maintenance engineers, cabin crew and air traffic controllers, and are designed for managers tasked with language proficiency issues within airlines, navigation services providers and MROs (Maintenance, Repair and Overhaul). They may also be equally useful for ground staff, language teachers and representatives of civil aviation authorities. In a ceremony at Toulouse last week Luton-based easyJet became the world’s youngest and quickest airline to reach the 200 Airbus milestone. CEO Carolyn McCall put it emphatically: “easyJet has grown from two aircraft at our launch 15 years ago to 200 in our fleet today. I’d like to thank all our staff, Airbus, CFM (our engine manufacturer) and all our partners and suppliers.” The airline initially operated Boeing 737 aircraft. Today just two are left and these will be gone by November. 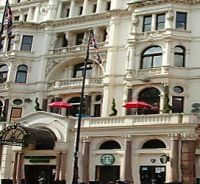 Premier Inn, part of the Whitbread Group, and the UK’s biggest budget hotel chain, has announced that it is building a brand new property in the heart of London’s West End. No 1 Leicester Square will feature what is calls “floating bedrooms” that ‘float’ on thick engineered neoprene pads so that noise from the Square and a nightclub below does not disturb guests. The innovative bedroom design has been created by an expert team of acoustic engineers, architects and construction specialists. Each of the 84 rooms will be formed from an independent box with no contact with the neighbouring rooms or hallway. Acoustic linings to the walls and ceilings will provide sound insulation between bedrooms; building services are isolated; and windows will have quadruple glazing. Premier Inn has spent six months perfecting the design to ensure it meets the standards set by the company’s ‘Good Night Guarantee’. Two trial bedrooms – one with a timber frame and a second with a metal frame – have been built at the site and studies have been undertaken to establish their performance. 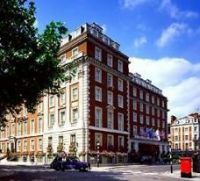 Situated in the heart of Mayfair, the 5-star London Marriott Grosvenor Square has completed a multi-million pound refurbishment following its 25th Anniversary celebration last year. Originally built as a stately townhouse, and previously part of Maxwell Joseph’s Grand Metropolitan Group, the second phase of refurbishments has seen the hotel reinvented to become what is termed “an elegantly styled urban retreat”. The hotel is in Duke Street virtually opposite Selfridges. 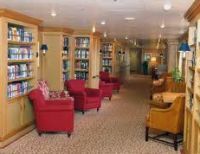 All 237 rooms are now of contemporary design. The accommodation is integrated with the modern style of Gordon Ramsay’s award winning Maze Restaurant and Maze Grill – both also located within the property. 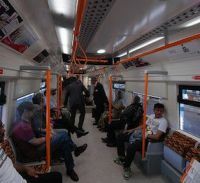 Visitors to London and residents are to benefit from the completion of a major upgrade to the Overground network which, although promoted as an Olympic improvement, was a necessity that would have probably taken place in any event. The three-year £550m project delivers up to double the number of trains on key Olympic rail routes. London Overground services from Richmond and Clapham Junction to Stratford will run four times an hour every day, increasing the total number between Willesden Junction and Stratford to eight trains per hour in the peak. In addition four trains per hour will run every day on the Gospel Oak to Barking line and up to eight trains an hour between Highbury & Islington and Dalston Junction on the East London route. As part of the upgrade Transport for London also funded a fleet of 57 brand new air-conditioned trains, and an impressive station refurbishment programme. Melbourne has become the first airport to host Virgin Australia’s new showcase lounge. These will be rolled out in the coming months at all the major airports in the sub-continent. The lounge upgrade coincides with the single rebranding of the former Virgin operations down under and the introduction of the wide body Airbus A330 on the Sydney – Perth route. Featuring multiple zones for meetings, wireless internet capabilities and a “quiet library”, the lounge is well equipped to cater for modern business needs; while a high bar acts as the dynamic hub where guests can celebrate and socialise. 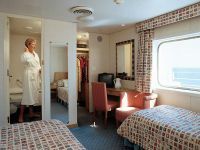 A continental breakfast with fresh fruit is served in the morning; seasonal salads and soups are offered throughout the day (with hot treats) and in the evening Australian cheeses, mini cakes and gourmet biscuits are provided. Don’t buy Duty Free if you have to pass through Atlanta Hartsfield International Airport whether connecting or going landside. To be fair all US airports confiscate liquids of over 100mm if you are transferring but at Atlanta they go one further by banning it at the final arrivals security point too. “I am very sorry sir”, said the lady, “but you can’t bring Scotch (or anything liquid) into the United States at this point. However if you go back to the Delta help desk I am sure those nice people will allow your roller-bag to join the hold baggage on its way to the arrivals baggage hall”. An exasperating two hours wait. Bag and drink arrive OK.
And International passengers have to pay tax on food purchased whilst waiting for boarding too. All will change next year we are told when the world’s busiest airport actually gets a terminal for foreign flights. The quicker the better! Kazakhstan is a country far away from the United Kingdom, deep into Asia, that is having a ‘love in’ with the West. It has been independent from Soviet Russia since 1991. Under President Nursultan Nazarbayev, Kazakhstan has made significant progress toward developing a market economy. The country has enjoyed significant economic growth since 2000, partly due to its large oil, gas and mineral reserves. Kazakhstan is nothing like the country portrayed by Sacha Baron Cohen in the film Borat. The actual location was Romania and the Kazakhstan view was that as a caricature it was good publicity for the country. The problem with Kazakhstan is not the people, or the national airline Air Astana, which flies into Heathrow twice a week from Almaty and offers a service as good as, if not better than, British Airways. The problem is the effort involved with raising the paperwork to actually get into the country. If a nation wants to attract leisure tourists and business people it has to be flexible in the way it handles its borders. No country wants people looking for troubles or those who will be a drain on the economy. The USA has ESTA which works well; for Australia it is all done via a computer, and the UAE makes life very simple when you arrive in the Gulf. The Chinese are well organised in London. At Tel Aviv ask that your passport is not stamped and Israel will issue you with a piece of disposable paper. That might save embarrassment at some Middle East gateways. Typically Turkey has recently gone out of its way to make entry simple from many African countries. If you want to go to Kazakhstan you need to personally visit the Embassy in London’s South Kensington during the passport offices limited opening hours and pay a minimum £35. You will require an invitation from the other end. A hotel will do. Once at the Embassy the office, deep down in a basement, is perpetually busy, and friendly, but be prepared to queue. There are no seats and the room is dreary. However they will process your passport in three days but what an effort, particularly if you live outside London. You, as an individual, have to attend no matter who you are. Now here is the catch. Nowhere in the paperwork does it say they will mail the completed passport back. The suggestion is that you must collect it. Not true. Hand the clerk a stamped addressed recorded delivery envelope and it will be put in the post, saving another trip to Kensington. Turn up at Heathrow for Air Astana (or bmi who also fly the route) without a visa and you will be allowed on the aircraft. When arriving at Almaty just go to the special visa desk and in less than five minutes all will be done. Mr Nazarbayev sort out your border control officials. The Brits (and others too) will enjoy Kazakhstan. Providing the welcome within the country extends to your passport people! Preliminary findings from the recorders of the AF447 Airbus A330 which crashed into the Atlantic Ocean in 2009 have found that the pilots became distracted with malfunctioning airspeed indicators and failed to properly manage other critical systems. Operating as a three-man crew the Captain was in a rest period when the aircraft experienced both turbulence and icing problems. Dropping at 10,000ft per minute the cockpit voice recorders show that the pilots apparently became confused by the alarms blaring from their instruments and despite trying to systematically respond to each warning, were unable to cope. The descent lasted 3mins 30secs during which time the engines acted normally. It does seem that the weighty reference books could be a thing of the past (although we’ve all been proved wrong before – many still use the massive OAG route guide). 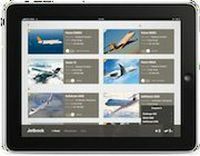 Upcast Jetbook for iPad, claims to completely change the way aircraft owners, charter flyers, and aviation enthusiasts view and compare business jet specifications. The graphic interface of the Apple’s iPad will let users enjoy images, 360° views, videos, cabin diagrams, and even range maps based on their current location! 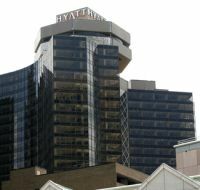 Almost six years since the devastating floods, the Hyatt Regency New Orleans is now accepting reservations to welcome its first guests on 19 October 2011. This follows a US$275m redesign and what it calls “a revitalization”. Upon completion, the hotel will boast 1,193 all-new, sophisticated guest rooms, 200,000sq ft of state-of-the-art, flexible event space, plus expansive food and beverage offerings. As one of the most significant hospitality developments in New Orleans in over a decade, the newly restored Hyatt Regency New Orleans will re-open as the city’s premier meeting and convention hotel. 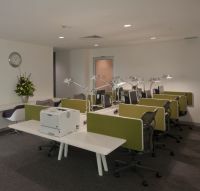 Having doubled its meeting and exhibition space, the 32-storey hotel will offer the most meeting space of any hotel in the city, as well as the unique ability to self-contain group events of all sizes. This includes two 25,000sq ft ballrooms, 64 versatile meeting and banquet rooms, 21 executive level meeting rooms, seven permanent boardrooms, and more than 80,000sq ft of exhibition space, highlighted by a new 50,000sq ft exhibit hall. Air Dolomiti, together with parent company Lufthansa, is to take over the Lufthansa Italia brand at the end of the summer season. The Airbus A319 aircraft, currently operated by Lufthansa Italia, will be deployed elsewhere within the Lufthansa Group from the start of the 2011/2012 winter timetable. Lufthansa is forecasting double-digit growth in its services to Italy, which it already serves frequently from its Frankfurt and Munich hubs. Air Dolomiti will also increase flight frequencies to Germany with its own route network, which focuses on connecting the major economic centres in northern Italy and Lufthansa's Munich base. Together, Lufthansa and Air Dolomiti currently serve 19 destinations in Italy. Apps are becoming the norm for busy travellers on the move and IT departments are getting very clever with information passed on to customers. 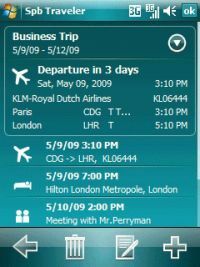 Now OAG has come out with “FlightTimes”, the heavy, old (and still used) compendium compressed into the interface of a Blackberry, iPhone or android pda. Users with smartphones will be able to view flight schedules for every airport and airline in the world. The app will be available to the general public and also companies wishing to rebrand and customise its content. No-frills carrier Ryanair sometimes called “The World’s most annoying airline” plans to take 80 aircraft out of service this coming winter, twice the number than for 2010/2011. The announcement came as the airline revealed a full-year profit after tax of €401m, up 26% on the figure for the previous financial year. Traffic in the financial year between April 2010 and March 2011 grew by 8%, while fares rose 12%. 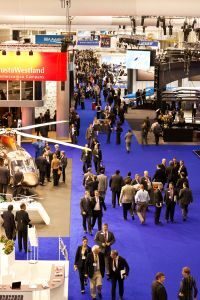 Figures from EBACE 2011 suggest that European business aviation has begun the road to recovery. At this year’s Geneva show nearly 13,000 industry delegates, representing 108 countries visited a record 511 exhibitors. Some 62 aircraft displayed on the static and EBAA President Brian Humphries said he had just one complaint – “it was a shame the three-day event couldn’t go on for one more day.” The upward trend reflected latest Eurocontrol statistics that private aviation was up 5.5% this year. British business jet operators including Gama Aviation, LEA and PremiAir noted that financiers are back flying again. “Business clients have not fallen out of love with private aviation, but with a lack of business to chase last year they had no reason to fly,” said Gama CEO Marwan Khalek who also reported that business aircraft owners are flying more too – up to 20-30% more hours than in 2010. 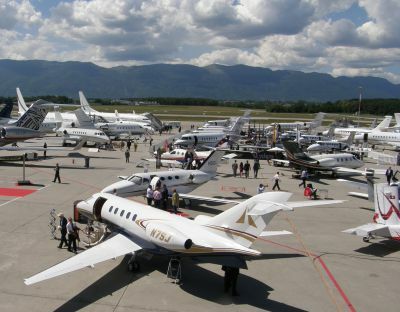 The 11th edition of EBACE also saw the return to nine-digit aircraft orders. Bombardier confirmed the mystery buyer of two Challenger 605s and six Global 6000 business jets earlier this year was VistaJet, while predicting that the sector will deliver around 24,000 business jets between now and 2030. VistaJet, which operates a dedicated Bombardier fleet, disclosed its overall order covered 12 Globals and Challengers, plus six Learjet 60 XRs valued at US$383m with deliveries expected to begin in 2012. Thomas Flohr, Chairman of VistaJet, stated that the aircraft would support the growing sectors of “fast-growth markets” such as Brazil, Russia, India, Nigeria, China and the Middle East. It was a good show too for Embraer, which announced orders for three Embraer Legacy 650 business jets from Switzerland’s Comlux, replacing their Bombardier 605s. 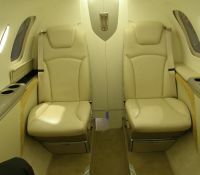 Comlux also placed a further four large-cabin aircraft options. Airbus showed both a K5 Aviation GmbH Airbus ACJ319 cabin and a Comlux Airbus ACJ320 in a first time appearance for both at any air show, announcing that its corporate jet sales have now surpassed 170, flying on every continent, including Antarctica. Whilst announcements for large jets confirmed demand is still greatest at the heavy end of the market, Globair of Austria quelled any suspected demise of the light jet market by announcing an increase of its fleet size to 11 Cessna Mustangs, making it the world’s largest Mustang operator. The company, which claims a 25% share of Europe’s light jet charter market, is anticipating a doubling in passenger numbers over the next year. A new kid on the block making its presence known at EBACE was Portugal’s Everjets, a subsidiary of fashion and textiles specialist Ricon Group, which announced the purchase of an Embraer Phenom 300, plus a second on option. 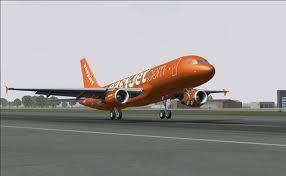 The new aircraft will be delivered in December, bringing a stylish offer to the southern European market. 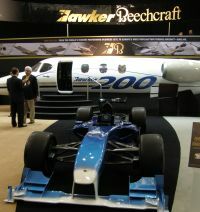 A number of new aircraft types were also unveiled at the show. Dassault previewed its new mid-size cabin Falcon 2000S, which will have two engines and carry 10 passengers. Service entry is planned for 2013. Eurocopter unveiled a luxurious new EC145 Mercedes-Benz Style helicopter, which can seat up to eight passengers, offering a sleek design and large storage space in the tail area. TBM Daher SOCATA, celebrating its 100th anniversary at EBACE, showcased a special edition of its TBM 850 single high-speed turboprop, featuring an eye catching paint scheme. However, the French company was keeping tight-lipped about its ultimate plans for the Grob Spn light jet. Nicolas Chabert, VP Sales and Marketing said that their evaluation could go beyond June, but acknowledged that Prototype 3 had now flown successfully over 25 hours and the evaluation concerning restarting the light jet programme was still in progress. Meanwhile, there were positive noises from Piaggio’s new Managing Director, Eligio Trombetta, who said that final design of their planned new light jet, dubbed the P1XX, should be agreed by mid-year. Expect to hear more about that at NBAA in October. There was also a buzz surrounding the sectors supporting business aviation. ExecuJet Europe, which marked 10 years in Switzerland during the show, announced the opening of three new Spanish-based FBOs in Girona Ibiza Palma, which join its existing group of eight European FBOs. The Middle East’s only dedicated business aviation airport, Al Bateen Executive at Abu Dhabi, announced a new brand for its FBO – DhabiJet, while Gama Aviation signed an agreement with worldwide catering services provider Private Flight which will support catering operations of its 80 business aircraft in its three key markets – Europe, the Middle East and the United States. Flying Colours, the Canadian-based VIP interiors specialist, announced a partnership with List of Austria as their preferred completion centre in North America to carry out installations of its unique stone flooring products. Wednesday afternoon was given over to the Olympics and the overall message was be prepared, book slots early and make provision for extra staff well in advance. Fourteen UK airports have been allocated specific numbers of movements beyond their general levels. Whilst London City has been given just eight, secondary airports such as Cambridge and Oxford have been allocated 520 and 382 slots respectively. “High demand is expected at key times, particularly around the opening and closing ceremonies, it is therefore important that clients secure their desired landing and departure slots as early as possible. There are certainly enough high quality jets available in Europe to meet demand. Our advice to our individual or corporate clients travelling to the Olympics is to plan in advance to ensure they get the arrival and departure times they require. Advance booking by users will alleviate the anticipated runway capacity problems,” suggested David Macdonald, Director Private Jets at Air Partner plc. In preparation, Oxford Airport announced its decision to install the latest generation radar system from Thales, a precursor to the next major phase of redevelopment at the airport which will be implemented in time for the Games. Cambridge Airport announced an initiative which sees operators that prepay receiving guaranteed parking slots which are anticipated to be at a premium during the summer. Aviator, the TAG owned Farnborough-based hotel, has already received crew bookings and is suggesting that early reservations should be made with them, as well as the airport. Boeing’s brand new 787 is expected to be the star of the Paris Air Show which gets under way Monday 20 June. Details have still to be released of Le Bourget happenings which will probably include a fully configured ready for service passenger aircraft. 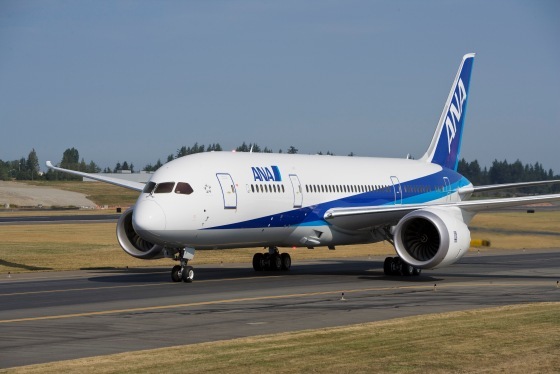 Boeing, together with launch customer ANA, unveiled plans last week for a series of route proving flights from 4 July with the aircraft based at Tokyo’s Haneda Airport. Using the second flight test aircraft, known as ZA002, they will simulate in-service operations across several airports in Japan in a service ready operational validation. Anticipated city pairs include trips between Haneda and airports in Osaka (Itami and Kansai), Okayama and Hiroshima. As AERBT was being distributed at midnight British Summer Time the latest ash problem resulting from the eruption of a volcano in Iceland seems to have dissipated. Two million passengers are expected to pass through British airports over what is a Bank Holiday weekend. The good news follows a week of controversy in which a whole series of regional flights were cancelled with airline chiefs accusing the Met Office of putting out misleading information. 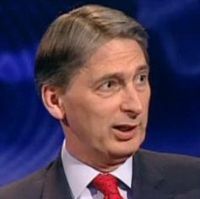 Transport Secretary Philip Hammond is bound to come under questioning and deep scrutiny when he speaks to the airline industry next week at London’s Aviation Club at the Institute of Directors. Members will undoubtedly want to know if the authorities panicked. 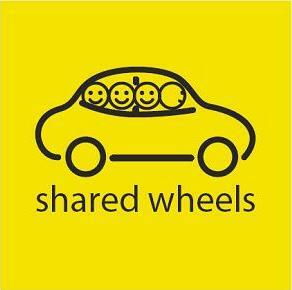 Popular in the USA and in France car pooling is coming to Britain but on a commercial basis. French company, Comuto, is launching its successful service BlablaCar following a huge success across the Channel. The name BlablaCar comes from drivers rating how talkative they are as ‘bla’ (not very chatty), ‘blabla’ (likes a natter) and ‘blablabla’ (won’t shut up). The service, known as Covoiturage.fr in France, has been a phenomenal success amongst drivers and passengers alike who are frustrated at disruptions to air and rail transport and hard hit by increasing petrol prices and rising public transport costs. The site, founded in 2006, is growing by over 50,000 users per month, not only saving €100m since 2009 but also over 200,000 tons of CO2, making it an environmentally friendly way to travel. Blue Islands, the Channel Islands-based airline, has introduced another double week daily service between Jersey and the English mainland, this time to Bristol. 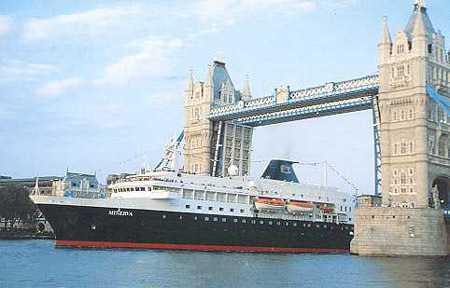 Earlier this month the carrier introduced Jersey to London City. The schedules for both flights also include a single Sunday return service. Bristol is operated by a fully pressurised 19-seat BAe Jetstream aircraft. 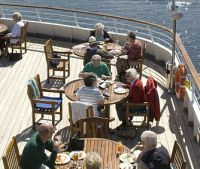 A convenient onward connection to Zurich is also available with Blue Islands via Jersey, offering the quickest journey time to the Swiss city from the South West. Bristol Airport offers extensive transfers for Jersey travellers with over 80 scheduled destinations across 22 countries served by direct flights. 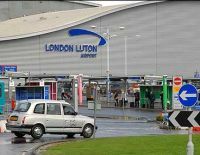 It has come in for stiff comment with its £1 minimum drop-off and collection fee if you choose to come right up to the terminal, but Luton Airport is hitting back. The airport has introduced a free 30-minute waiting period in the Mid-Term Car Park just prior to the runway bridge on the approach road. Passengers, and their friends, can then use the courtesy shuttle which goes right outside the actual terminal building. It is not as perfect as Airport Way, as it is known, can get very clogged up, particularly early in the morning when the first wave of aircraft depart, but it is convenient. The car park is in fact a fairly short walk to the terminal building. 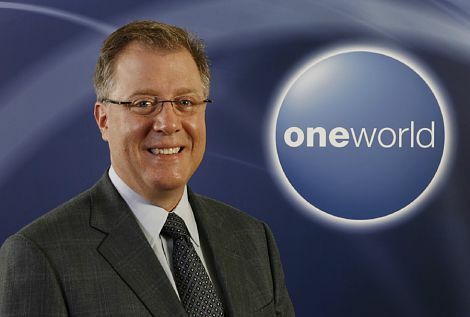 With its move from Vancouver to New York imminent and new CEO Bruce Ashby six months into the job, the oneworld alliance has announced a series of senior managerial appointments. Stephen Usery joins as Vice-President Commercial, leading the alliance’s sales and marketing activities, including its frequent flyer offering, consumer fare products, advertising, e-commerce, brand, sales and market development. 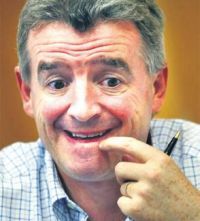 He is ex-US Airways as is Dennis Tierney, a veteran 17 years with the airline, most recently as Managing Director Alliances. Adding to the team is Anita Beier, named Director Finance and Administration and CFO, a new position covering responsibilities previously spread across a number of departments. Anita was Senior Vice-President and Controller at Intelsat for four years. 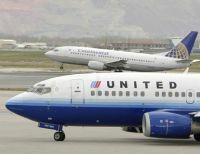 Airline owner United Continental Holdings Inc has unveiled a series of changes to provide a more consistent travel experience for customers on United Airlines and Continental Airlines. The changes – many introduced first at United’s hub at Chicago O’Hare International Airport – will roll out at airports across the airlines’ global network over the next several months. At the larger airports of Chicago, New York/Newark, Houston and San Francisco, customers may now check in and print boarding passes for flights on either airline using any United- or Continental-operated self-service check-in kiosk. Also introduced is “Premier Access”, a new package of priority airport services, including designated check-in counters, priority security screening, “front of the line” boarding through special Premier Access lanes and priority baggage handling, for elite-level frequent flyers and premium-cabin customers. Premier Access re-branding will roll out through the system over the next several months. Until airports are re-branded, elite-level frequent flyers and customers travelling in First, Business and BusinessFirst cabins have access to United’s premium airport services and Continental’s EliteAccess benefits.